Have you seen our Malaysian made sitcom? MALAYSIA SME™ decided to take a light-hearted approach by announcing a 13-episode million dollar production SME Sitcom entitled Small Mission Enterprise (S.M.E). 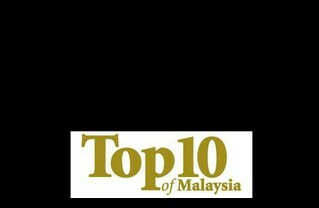 The first episode will be aired on NTV 7 on October 4 and subsequently be aired every Thursday at 9pm. They have Baki Zainal, Ash Nair, Alvin Wong, Ruzana Ibrahim, Adibah Noor, Indi Nadarajah and Chelsia Ng. This sitcom is directed by comedian Douglas Lim and he says that this is the first time a sitcom from a business angle is produced. The purpose of this sitcom is to create awareness of the various stumbling-blocks encountered by entrepreneurs from all walks of life. Personally I have a feeling this could be hilarious as they managed to get actors and actress that are rather comedic themselves to play the characters. It somewhat reminded me of the old school 'Kopitiam' show but talks about business stuff. :) I really hope it's good.